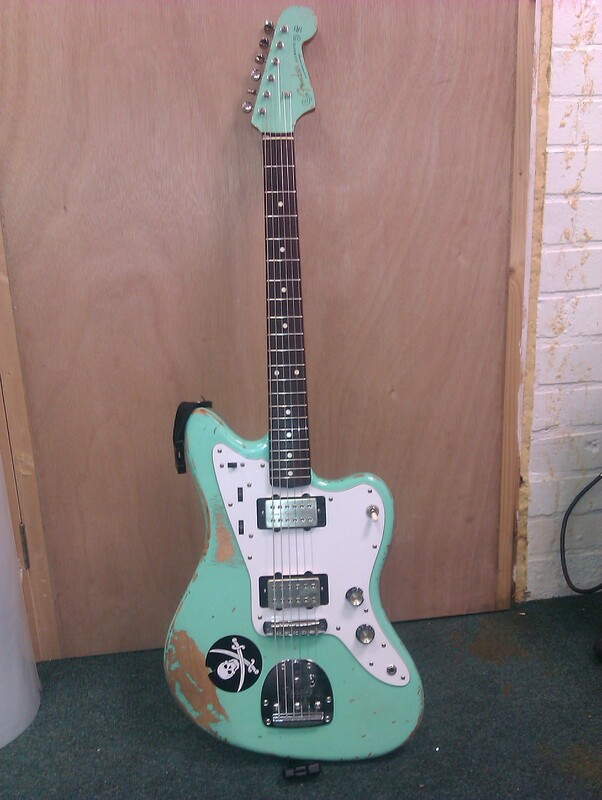 Fender Jazzmaster. This roadworn workhorse came in for pickup replacement. Now fitted with a pair of Bare Knuckle Pickups Warpigs, it’s a case of “stand well back”. Very potent!